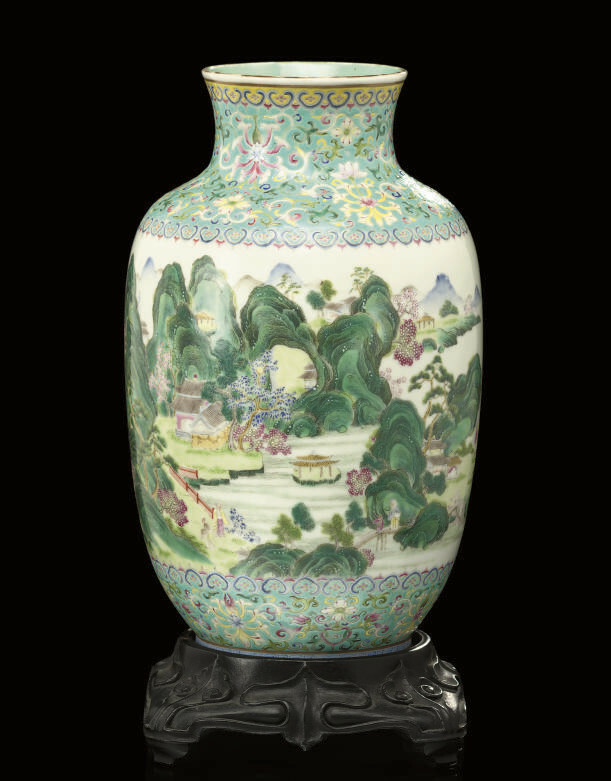 painted in coloured enamels with a continuous river landscape scene with figures in boats and crossing the bridges which span the populated and rocky islands, the scenes between bands of delicate scrolling lotus flowers on a turquoise ground -- 8¾in. (22.2cm.) high, wood stand.